Carnival Cruise Lines announced Thursday they will return the 2,124-passenger Carnival Pride to year-round service out of Baltimore in March 2015. 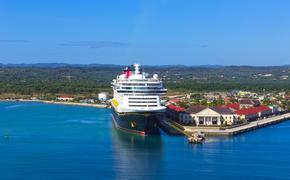 The ship will operate two seven-day itineraries, one to the Eastern Caribbean and the other to Florida and the Bahamas. The vessel will undergo a major renovation before the return to Baltimore that will give it the Fun Ship 2.0 features, including Guy’s Burger Joint, a steep twisting waterslide, a poolside cantina and a sushi restaurant. Perhaps more importantly, the Carnival Pride will get exhaust gas cleaning technology, commonly called scrubbers, that is designed to reduce air emissions and enable the ship to exceed stricter air emission standards established for operation within the North American Emission Control Area. The standards had threatened certain cruise itineraries near North American coastlines because they forced lines to use a costlier fuel that made those routes more expensive. Carnival Pride is currently based in Baltimore where it will remain through October, when it will reposition to Tampa for the winter as announced in June. Now, however, the ship will return to Baltimore in March 2015 and will host about 120,000 passengers annually. Carnival began year-round Baltimore deployment with the Carnival Pride in April 2009. The ship’s return was welcome news in Baltimore, where Gov. Martin O’Malley made the announcement that was tweeted with a celebratory (but somewhat fuzzy) photo. Beginning March 29, 2015, the ship will depart every Sunday. The Eastern Caribbean itinerary includes calls to Grand Turk, the private Bahamian island of Half Moon Cay and Freeport. The other itinerary includes visits to Port Canaveral, Nassau and Freeport. During the three-week project in a dry dock Oct. 19-Nov. 9, the ship will get Guy’s Burger Joint, the free and very popular poolside venue developed in partnership with Food Network personality Guy Fieri. Also to be added are Blue Iguana Cantina, a complimentary Mexican eatery, and Bonsai Sushi, an Asian restaurant. The good news comes shortly after Virginia Gov. 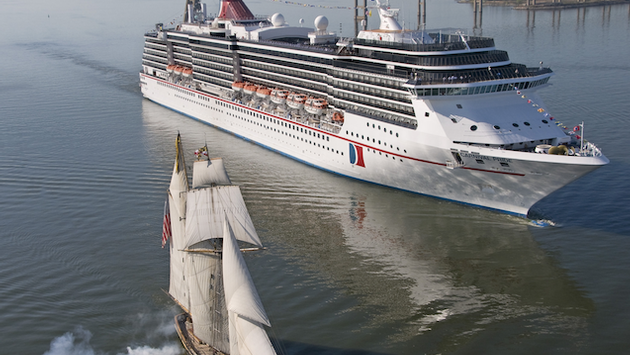 Terry McAuliffe announced that Carnival will once again operate a series of voyages from Norfolk, Va., in 2015. Carnival confirmed it will operate “a series of cruises in the spring and fall” of 2015, but declined to reveal the ship, date and itinerary information. The Carnival Glory, which had operated from Norfolk, was scheduled to remain year-round in Miami as part of the deployment reshuffling that moved the Carnival Pride south.